George H. W. Bush, in a way, was the instigator of the current depths of American involvement in the affairs of West Asia that was continued by all succeeding presidents, and most disastrously by his son, George W. Bush. 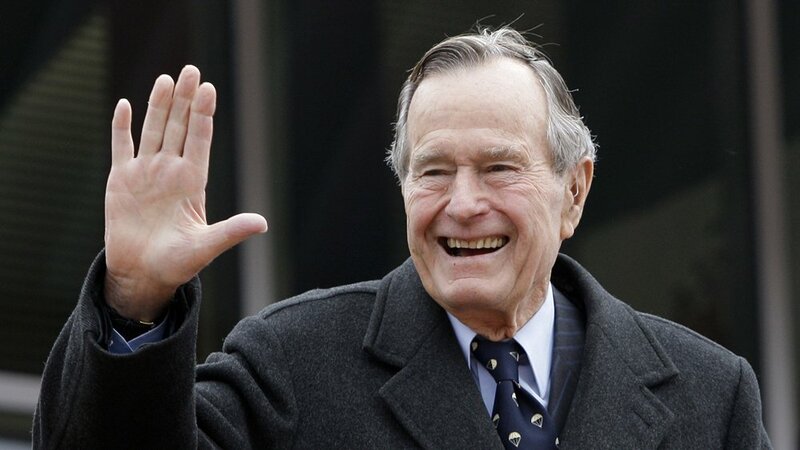 In the wake of George H. W. Bush’s death, obituaries in the world's leading liberal newspapers (The New York Times, The Washington Post, and The Guardian) eulogised his contribution to world affairs and his exemplary foreign policy vis-a-vis his mistakes in domestic affairs (for raising taxes on the rich, no less!). The Obamas and the Clintons, too, expressed their dismay at his death, and admiration for his work and legacy. However, a fuller appreciation of his role in history must be noted, with perhaps more than a passing reference to the facts of the era. This is not a comprehensive biography of what was definitely an interesting life; obituaries abound throughout the world's major newspapers for that. George Bush, in a way, was the instigator of the current depths of American involvement in the affairs of West Asia that was continued by all succeeding presidents, and most disastrously by his son, George W. Bush. It was recognised, even at the time (and identified best in detail by Noam Chomsky), that the US involvement in Iraq was not a matter of principle, or of humanitarian intervention, but a naked power grab and an attempt at gaining any economic benefits possible from the area. The US consistently refused diplomatic solutions and sanctions at the time, and stood at the door of Iraq threatening force. The US and its allies repeatedly ignored calls for peace and diplomacy from various sources - the Vatican, large sections of the international community, and even the Iraqi democratic opposition. This move drew condemnation from around the Global South, with even The Times of India describing its actions as 'appalling jingoism’ and as showing an 'unrestricted appetite for dominance’. In fact, in 1990, Saddam Hussein had proposed a total weapons ban in West Asia, and claimed that he would give up his ballistic weaponry as long as a similar eschewal of weaponry was agreed upon by Israel. This move was rejected by the Bush government, although ostensibly, Saddam was still one of the 'good guys' then (once referred to by Geoffrey Kemp, head of the Middle East section in the National Security Council under Reagan, as 'an SOB, but our SOB’). What George Bush really managed to do was to pivot and re-orient the American war economy away from the earlier pretence of the Soviet challenge to new issues of 'spreading democracy’. This was visible in the ramping up of the American war machine in order to increase ‘humanitarian interventions’ in West Asia, ensuring a new excuse to intervene in the issues of other countries, continually increase military spending, and restrict freedom at home. It set the stage for George Bush Jr's invasion of Iraq in 2002. However, George Bush's indignities as a figurehead of US foreign policy are not limited to Iraq. He was condemned by the World Court for the 'unlawful use of force' in Nicaragua, using economic sanctions and military force in order to influence their 1990 elections. One of George Bush's first prominent acts as president was to invade Panama in order to protect American interests, a move condemned by the United Nations General Assembly (UNGA). The resolution of condemnation was vetoed by the US in the United Nations Security Council (UNSC). The invasion, unironically named Operation Just Cause, devastated the central American country. Bush Sr., as second in command during the Reagan administration, was also implicated in the notorious Iran-Contra deal. The deal involved the illegal sale of arms to Iran in order to fund the (also illegal) Contra right-wing resistance to the Sandinistas in Nicaragua. One of his last acts as president was to pardon many of the accused in the scandal, also ensuring that the documents that could have implicated him and Reagan never came out. George Bush Sr. was also in charge of the Central Intelligence Agency (CIA) for a brief period in 1975, where he distinguished himself by extending support to the Indonesian government's invasion of East Timor in what was one of the bloodiest invasions in modern history, with some estimating that up to 1/3rd of the East Timorese population was killed. Following the legacy of the presidents before him, Bush Sr. ensured that the US, along with the usual smattering of vassal states, continued to vote against the condemnation of Israeli atrocities and against the right to self-determination of the Palestinian people. Apart from the various missteps taken by Bush Sr. in the international arena, he also ensured his dubious standing on people's issues within the United States. Over the length of his career, he campaigned against the Civil Rights Act, against abortion, against the nuclear test ban treaty, and cemented his place in election campaign history with the Willie Horton Ad, known as the 'most racist campaign ad' in history. The Bush campaign ran an ad against his Democratic opponent, Michael Dukakis, criticising his controversial prison furlough program (while he was the governor of Massachusetts) for giving weekend passes to convicted criminals. Convicted felon Willie Horton's mugshot was displayed while a narrator detailed the kidnapping and assault of a young couple during one of Horton's furloughs from prison.The ad was widely seen to be stoking racial tensions and playing up racial stereotypes against black men. In the era of #Metoo, it is important to remember two important facts from Bush Sr’s history. One is the accusation of sexual harassment against Bush Sr. himself (two women accused him of groping them), which he denied (using the common tactic of dismissing it as 'friendliness') but apologised in 2015. The second is his appointment of Justice Clarence Thomas to the US Supreme Court, despite the testimony of Dr. Anita Hill at his confirmation detailing Thomas' persistent sexual harassment of her. Bush Sr. also presided over one of the worst periods in modern US economic history, marked by a continual decline in real wages, an increase in homelessness and children under the poverty line, and a further increase in public and private debt. This was reflected in his historic defeat to Bill Clinton, one of whose slogans was understandably, 'It's the economy, stupid’. Bush Sr. once said, “I am lost between the glory of Reagan — monuments everywhere, trumpets, the great hero — and the trials and tribulations of my sons,” and his feelings were not entirely unfounded. He nevertheless played an important role in continuing American intransigence in international affairs and in maintaining the presidential tradition since Nixon of eroding the rights and livelihoods of the worst-off in the American society. Will the US End Up Putting Sanctions on Every Country That Doesn’t Bend to its Will? The phrase is used over and over again by the government of the United States. The Trump administration has extended by one year the US sanctions against Zimbabwe, which were set to expire on March 6.